The Venus Comfortglide Sugarberry with Olay women’s razor will wrap your skin in comfort. Flexible moisture bars release light body butters, allowing the razor to glide seamlessly. 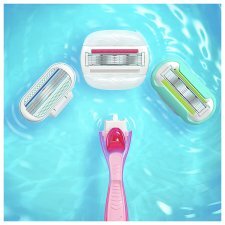 The 5 blades give you a close shave, revealing smooth skin.